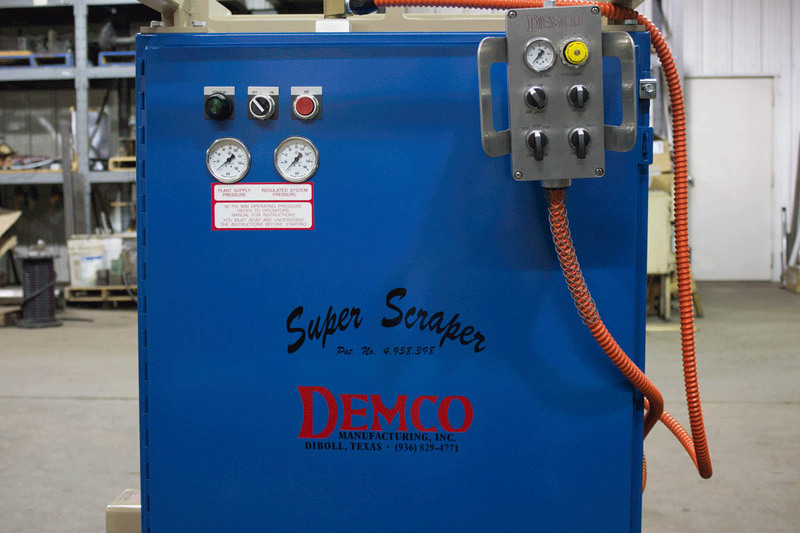 Made for wood-based panelboard hot presses, we're able to build a scraping system to clean your platens in a much more efficient manner. 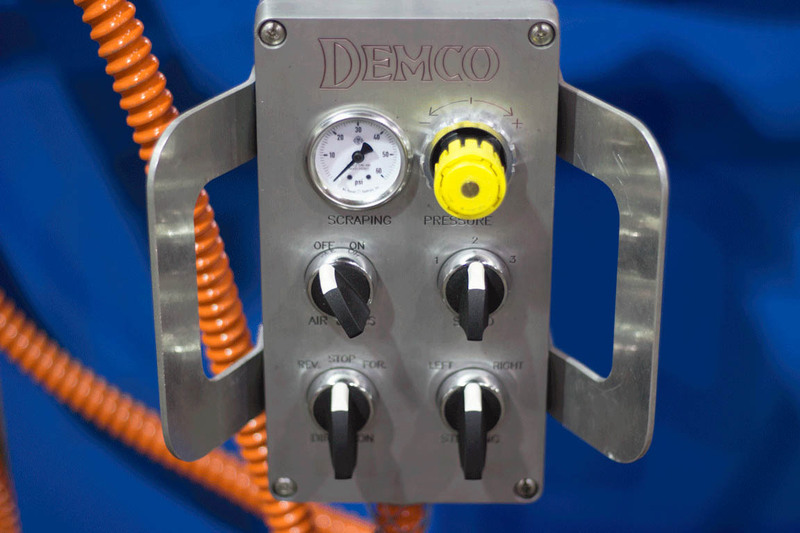 Our cabinet houses the valves and electronics necessary to move the head to facilitate the cleaning process. 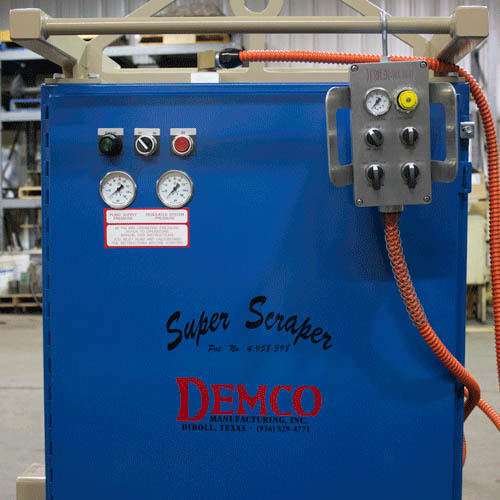 A wired remote enables the operator to be near the scraping head to observe the cleaning process. Control direction (left, right, forwards and backwards), speed, scraping pressure and toggle the Air Jacks on or off. 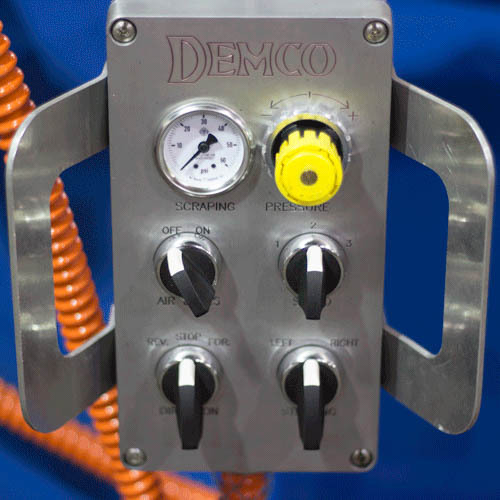 Locomotion is provided by a system utilizing air pressure in these nitrile bags. 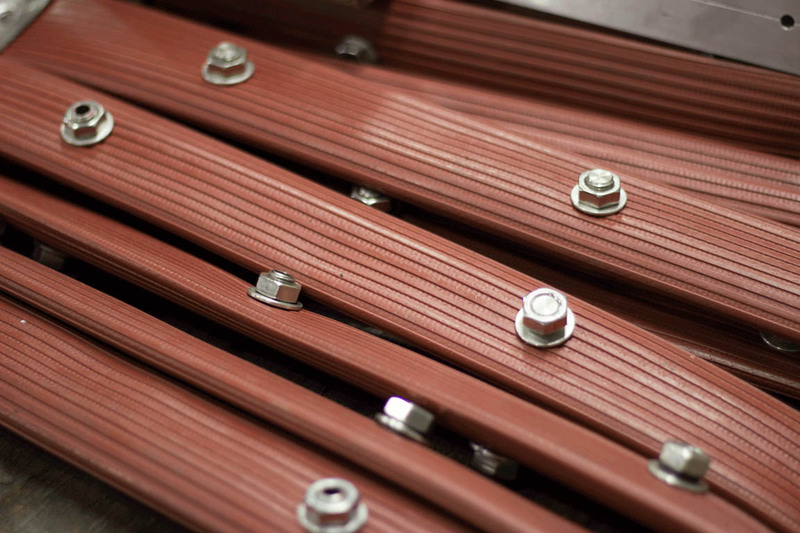 Lift Bags provide the force required to anchor one end and scrape on the other, if you switch direction, the Lift Bags swap roles. 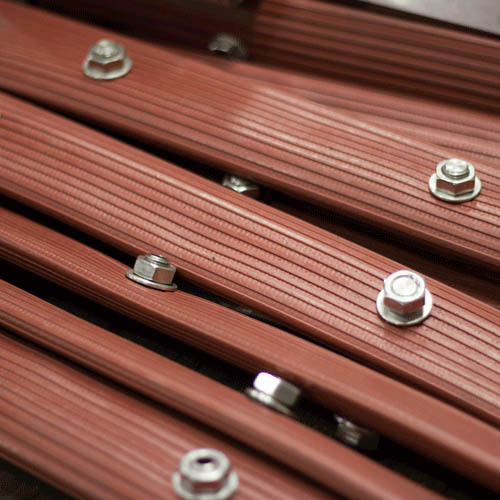 Traverse bags help the head inch its way across the platen, as well as steering it left or right. 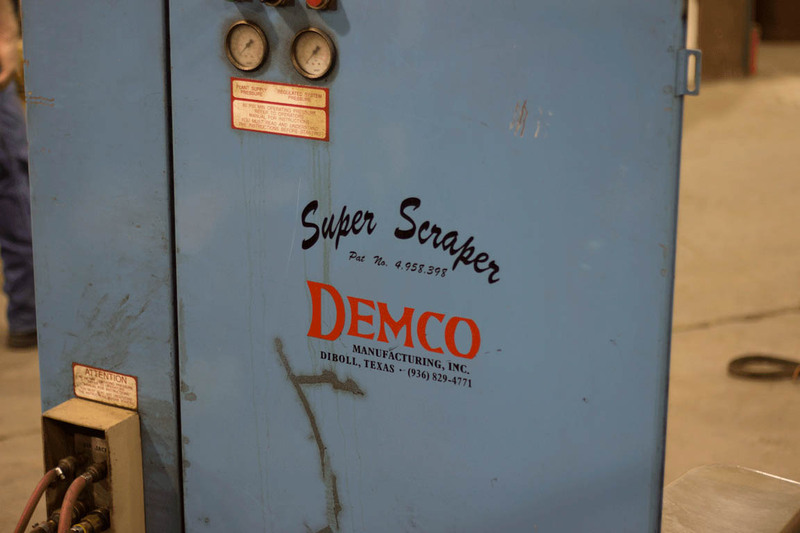 We sell parts as well as offer repairs on your Demco Scraper Systems and Heads. 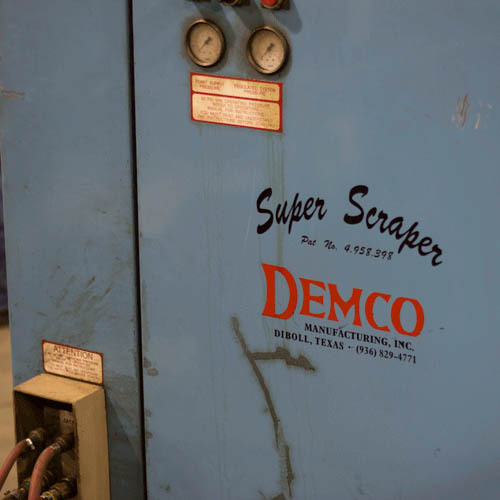 We prefer you send us the entire head, cabinet and hoses so we can go over the entire system to ensure it all works properly so you're up and running with minimal delay. 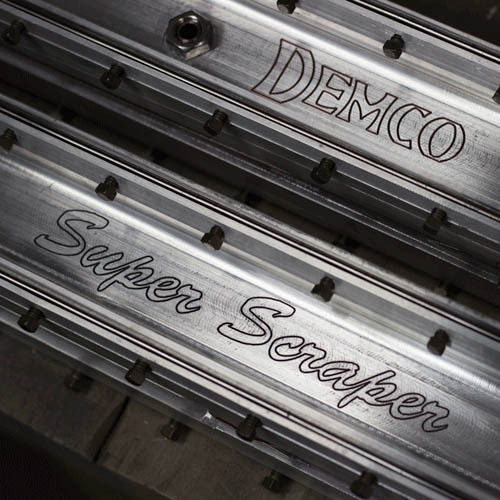 Our patented Demco Super Scraper Heads have remained functionally unchanged over the years. 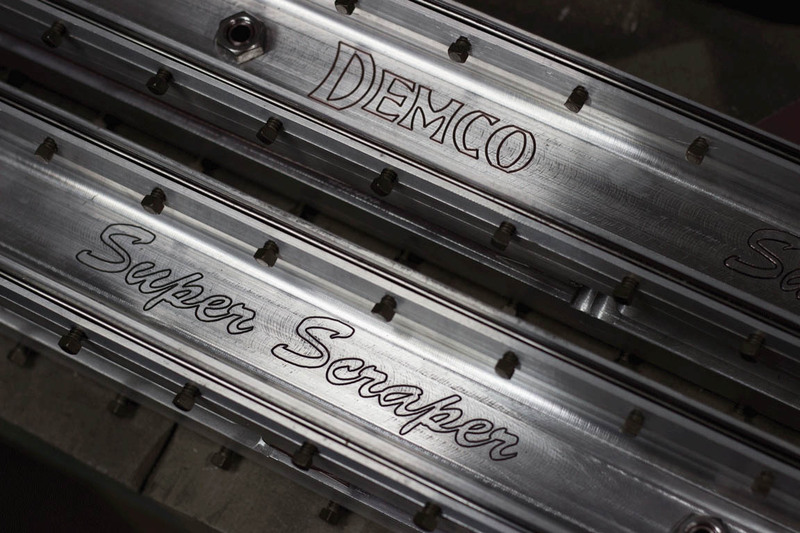 We've made them easier to work on over the years and streamlined the manufacturing processes. From new blades to bags, and cover plates to end restrainsts. We stock many of the parts required to repair your head in the event that something wears out or is damaged. Many of the valves and air components are easy to replace, so long as they've been properly diagnosed as the problem. The same is said for the electrical components. Still needing more? Contact us. Contact John Tucker or Jeff Hearne for pricing and availability.